Fact: weddings in the Philippines are expensive. A wedding of a lifetime can cost you millions of pesos. Heck, even weddings on a strict budget can already make you spend a whopping Php 150,000—wedding dress, venue, reception and all. 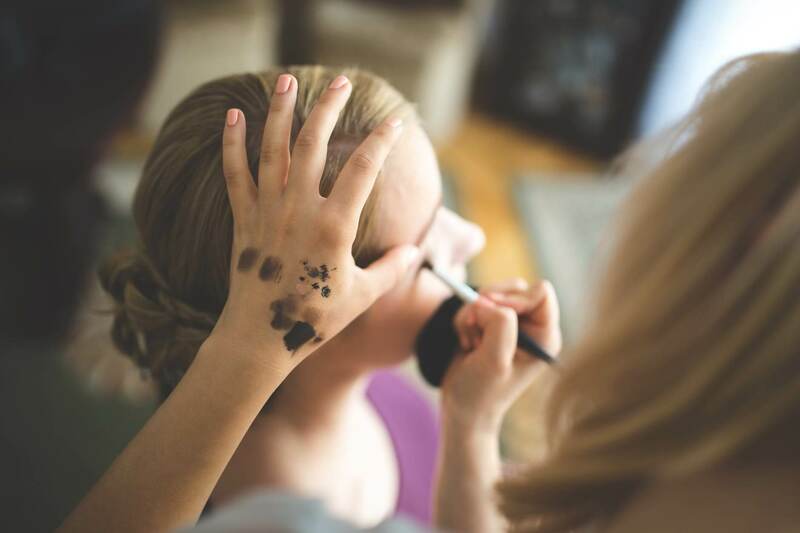 Since tying the knot in this country costs a fortune, it is common for couples to resort to the least expensive options just to push through with their wedding and one of these cheap options is getting “sulit” bridal makeup services. Professional bridal makeup packages in the country may range from Php 15,000- Php 40,000. If you’re on a tight budget, there are also cheaper options that cost below Php 10,000. However, while the “affordable” option can cut a huge amount fromyour expenses, this choice comes with a price that you should expect before committing to the service. With cheaper services, expect that cheaper products will most likely be used on you. Professional-grade bridal cosmetics are expensivesince they are better designed for flexibility and wearability. If you pay less, then don’t expect your Php 10,000 to magically produce high-quality products in your makeup artist’s (MUA) kit. Remember: the cheaper the bridal makeup package, the lesser the quality of service you get. Say you hired an inexperienced MUA and things come to worst: you had a terrible do on your wedding day. Your dream-wedding-turned-nightmare won’t only stop on that day; you now have your wedding photos to remind you of that moment. Because admit it: cheap bridal makeup services in the Philippines often leave out the technical side of the job, i.e. the science behind camera-friendly makeup. Cheaper bridal makeup service sure fits your tight budget, but it comes with certain risks and compromises. Are you willing to risk your special day? Or would you rather play safe and spend a little more for a better and truly sulit bridal makeup package in the Philippines to ensure everything goes according to plan? Anyway, you’d only be wed once so make sure you are ready not only physically, mentally, and emotionally but also financially so you get only the best.You deserve it.